Pediatric anesthesia fellows will be expected to participate in program duties 5 days per week. During clinical rotations, some non-clinical time will be provided for the fellow to prepare talks and/or pursue research projects. The typical workday will be eight to ten hours long. Weekend clinical duties will occur approximately one time per month. Three weeks of vacation and five days of meeting time will be provided. Operating room call will be taken from home and will average one night per week. If the fellow is called in after 11pm, he/she will be excused from clinical duties the following day. Call while in the Pediatric Intensive care unit will average one night in four and will be in house. The fellow will generally be allowed to leave by 10 am on the day post-call in the PICU. During the 8 to 10 months spent in the operating room, the pediatric anesthesia fellow performs preoperative evaluations, intraoperative care and postoperative follow-up on a daily basis. The pediatric anesthesia fellow assesses inpatients on the day prior to surgery and may be asked to consult on complex children who present for outpatient care. Each case is discussed with a member of the pediatric anesthesia faculty on the evening prior to or day of surgery. An anesthetic plan is formulated, as are plans for postoperative analgesia and care. Anesthetic care is always provided under the direct supervision of a member of the division of Pediatric Anesthesiology. As the fellow gains experience, he/she will be given the opportunity to assist the faculty in teaching clinical skills to residents and medical students. They will also be allowed to function in a supervisory role with residents and CRNAs. 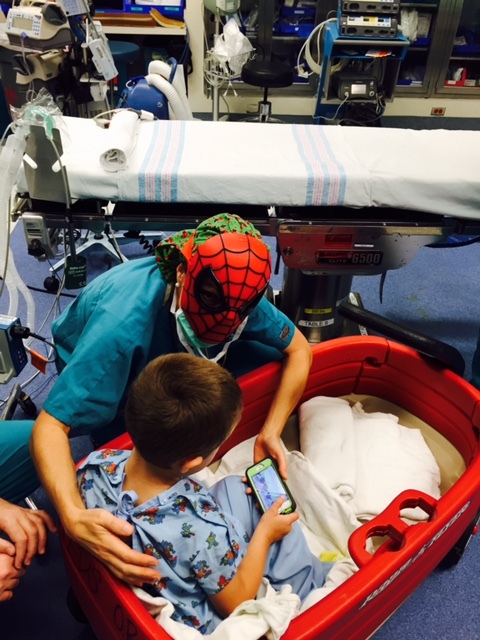 Pediatric anesthesia fellows make postoperative rounds on their inpatients. Perioperative problems and complications are discussed at monthly Morbidity and Mortality (M&M) conferences, and additional pediatric-specific multidisciplinary M & M is held approximately three times per year. Pediatric anesthesia fellows spend 4 weeks in the Pediatric Intensive Care Unit. While on the rotation they will function at the same level as a Pediatric Critical Care Fellow. They will have direct patient care responsibilities for all medical and cardiothoracic patients. Consultative services are provided to all other patients. An attending pediatric intensivist supervises all patient care duties. The pediatric anesthesia fellow has daily exposure to pediatric pain issues during the time spent in the operating room and the intensive care unit. Under faculty supervision, the fellow learns to perform and utilize caudal, epidural and spinal anesthesia/analgesia for pediatric patients. Peripheral nerve blocks, including TAP, rectus sheath, femoral, sciatic, lumbar plexus and brachial plexus blocks are also taught. Each fellow will also spend one month on the Pain Consultation and Sedation Service. During this time they will round on all inpatients with epidural or regional catheters, follow-up on inpatients that received single injection blocks and assist with any inpatient pain consultations and pain management issues on the ward or in the PACU. They will also perform regional blocks and assist with writing epidural orders and initiating all infusions. In addition to the rotations described above, the fellow will be expected to participate in other consultative services provided by the division of Pediatric Anesthesia. The Department of Anesthesia provides consultative services for pediatric patients within the hospital for sedation, acute and chronic pain management, airway management and other perioperative services. 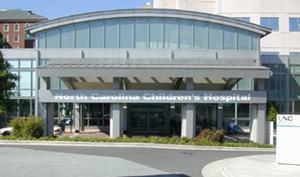 Consultative services for physicians in the community are provided through the Carolina Consultation Center. Pediatric anesthesia fellows are expected to participate in each of these areas except for the Carolina Consultation Service. 4. Research Elective (optional) The fellow is strongly encouraged to participate in ongoing and/or original research projects. All fellows will be engaged in department-driven Quality Improvement Initiatives. 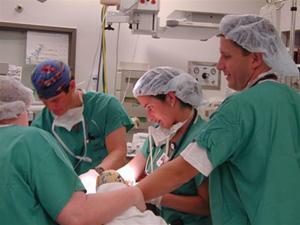 Depending on the demands of the project, work in this area can be incorporated into non-clinical time provided during regular operating room rotations or may be provided as a block of time, up to 2 weeks. Support for research projects is available through the department’s research division. The department has ample computer and technical support for data base entry, management and statistical analysis. Research Assistants are on staff to help with research protocol development, subject recruitment and data collection for clinical studies. A modest departmental research fund is available to support projects deemed to be of sufficient merit. The fellow may make special arrangements to spend up to two weeks (instead of a research elective) on other rotations outside the operating room. Examples of such rotations would be Pediatric Pulmonary Medicine, Neonatology or Pediatric Cardiology. The fellow can usually be assigned to the pediatric cardiac room as frequently as one time each week depending on their level of interest. For these cases they will work one-on-one with a pediatric cardiac anesthesia attending. Additional experience in managing these complex patients will be provided during the fellow’s PICU rotations.